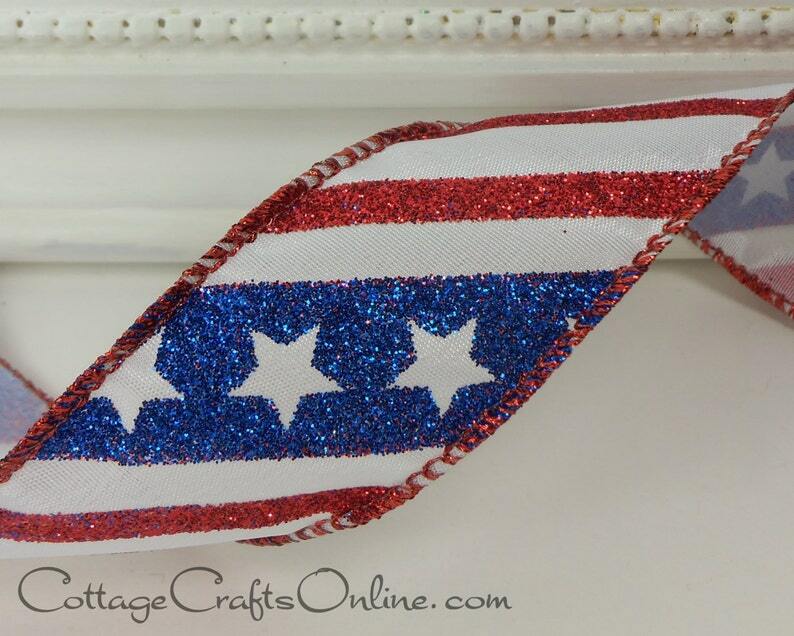 White stars shine against blue glitter stripes alternating with red glittered stripes on a satin ribbon, 1 1/2" wide with the wired edge covered in red metallic thread by Offray Lion. Use it for the 4th of July, President's Day or in everyday Americana decorating. PLEASE NOTE: the last picture is of the 2 1/2" width.